Blythe from Prime Beauty gives us the scoop on the Fall Fortune Cookie Soap Box. You can't imagine all the goodies they came up with for the Princess Bride theme! Do you use Vitamin C serum? Why not get a little more by adding a Vitamin C Cleanser? Allison from Never Say Die Beauty has added OZ Naturals Vitamin C Cleanser to her skincare routine to really attack those dark spots and uneven skintone! Helen from Lola's Secret Beauty Blog has created a Step-by-Step African Botanics At-Home Luxury Spa Day Tutorial that includes in-depth product reviews. You can easily recreate this ultra-luxe treatment for yourself, and you will be shocked by the extent to which it’s transformational! You can also substitute products that you don’t have for products that you already have in your collection. Are you a candle lover? Do you look for certain scents for different rooms? Beauty Info Zone has shared a collection from Soap and Paper Factory that will appeal to your nose and beautify your home. Amber from daydreaming beauty has a few unique indie fragrances on her Ride or Die Beauty Must-Haves! NARS Audacious Collection is bringing us some new shades of one of the most outstanding lipstick formulas on the market. Perilously Pale shares more info on the collection, along with her review! Are you ready for Fall Makeup? Pammy Blogs Beauty scopes out the gorgeous NEW Rouge Rouge lippies from Shiseido. 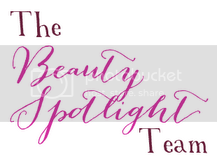 Justina's Gems has been testing out Maskcara Beauty products. Check out what she thought of the HAC on her blog! Oily and riddled with pores? There's a drugstore foundation for that and Blushing Noir has all of the shades swatched right here!